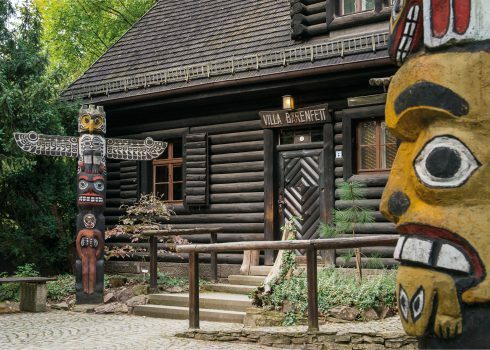 The Villa Bärenfett log cabin, which houses the “North American Indians” Exhibition, is wheelchair-accessible via a ramp. There is also a WC with disabled access. Please contact our supervisors, who will be happy to help you access the ramp. 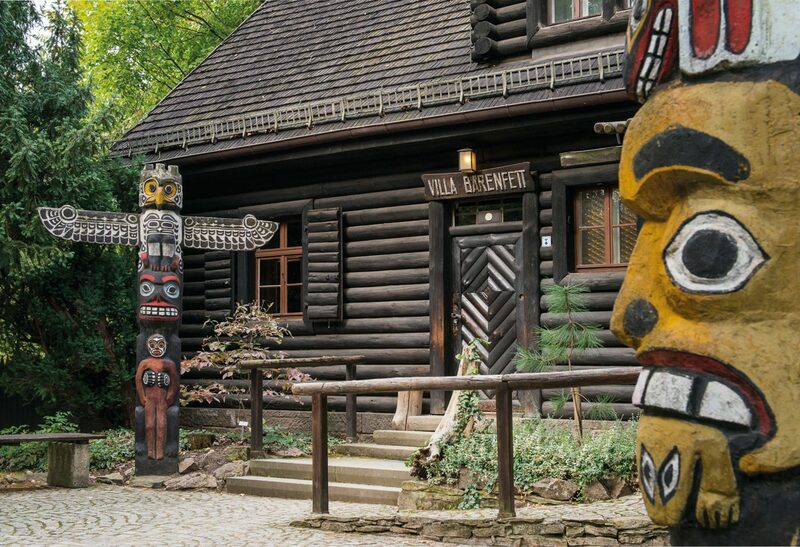 Villa Shatterhand, which contains the “Karl May – Life and Work” Exhibition, is not currently accessible for wheelchair users. As part of a museum redesign in the years to come, we plan to make Karl May’s former home wheelchair-accessible too. The Karl May Museum is a partner in the initiative “Saxony for all” by Tourismus Marketing Gesellschaft Sachsen mbH (TMGS). As part of this project, we strive with the other members of the cooperation to develop and market accessible tourism services in Saxony.